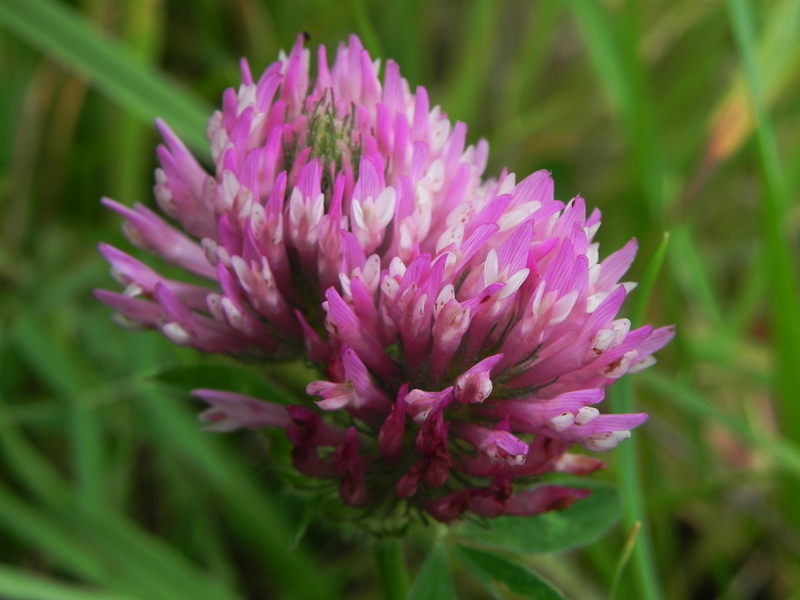 I came across this Red Clover yesterday. We’d just been talking about how Darwin found that the field mice eat the bumble bees nests and if you had cats around that eat the field mice then the Red Clover prospered – leading him to assume that the bumble bee pollenised the Red Clover. So, I prodded Google and told him to wake up and go and have a look to see if there were any medical uses for our plant. Well, it turns out that it was used medicinally in days when most prescriptions were filled by the apothecary or local wise woman – but it wasn’t a top tier cure. There were, I gather, other more popular herbs. It has suddenly become very much sought after and you can now buy it as pills – which saves you the bother of having to venture into the nasty smelly countryside to pick-your-own. However, it isn’t good for just any one and can have serious side effects if it is taken with some modern drugs and supplements – things our apothecary had never heard of. “It is metabolized by CYP3A4” says Wikipedia – whatever that means. So I looked up CYP3A4 – it’s in your liver and it’s part all the things that you’d expect to be going on in there. Do you remember, a few years back there was a sudden panic. Someone found out that the world’s favourite breakfast drink – grapefruit juice (suitably mangled by the food industry) – had a strange effect on some medications? Well it’s this CYP3A4 thingy that works with the grapefruit juice to the detriment of the pharmaceutical industry. So no Red Clover for breakfast then.